MISS NEVA INC: Rap Artists... Want to showcase your music live in front of to Aftermath Entertainment? Performers that would like a chance to perform live at this showcase should email their myspace music page, EPK, or other website links to info@kingryanevents.com for further consideration. "Urban Kings Hip Hop Showcase"
COME TO THE SHOWCASE AND BRING YOUR DEMO PACKAGE & NETWORK WITH ALL OF OUR PRODUCERS, MUSIC INDUSTRY, and MEDIA!!!! 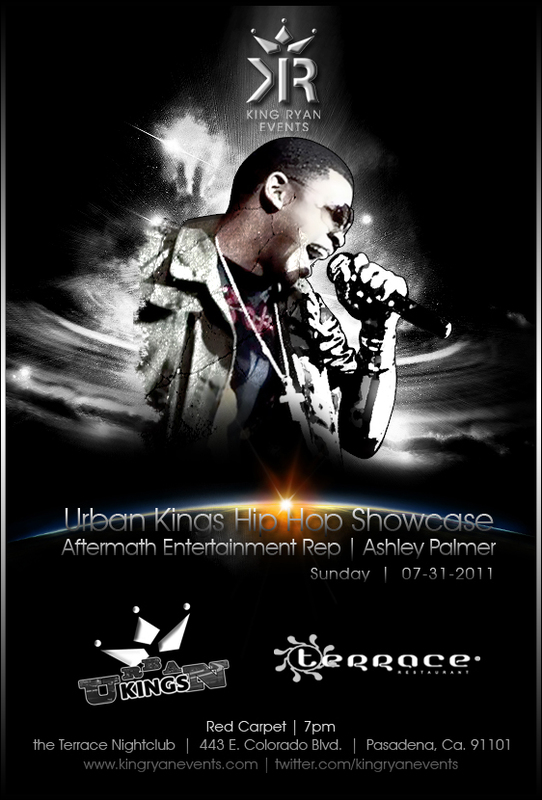 Aftermath/Interscope Records representative Ashley Palmer will lead the team of judges @ King Ryan Events next music showcase event "Urban Kings"
The top performer of this showcase will be selected for a professional consultation with Ashley Palmer @ Universal Music Group corporate headquarters in Santa Monica, California!